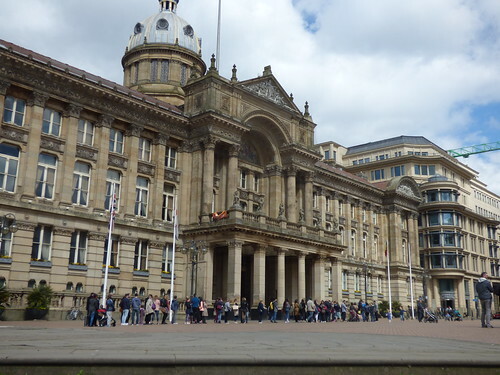 Queuing outside of the Council House, Victoria Square, Birmingham. Happy St George's Day in Birmingham. Except other than the England flags flying on the Council House, there is no official event. Budget cuts. Saw a long queue outside of the Council House. It's for French Nationals living in the Midlands waiting to vote in the 1st round of the French Presidential election.